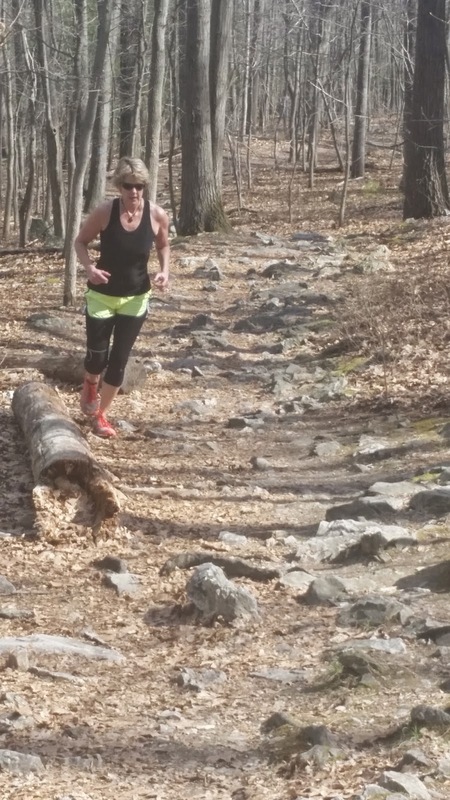 I am excited and delighted to share my mom's competitive sports story about how she challenged herself and succeeded in completing a 15K mountain trail run at Pine Grove Furnace State Park and Michaux State Forest in Pennsylvania. This is her story. When my daughter competed in a 25K trail run, I was there as her cheerleader. 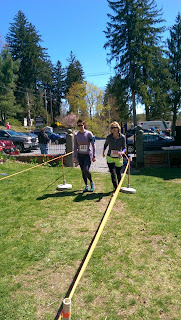 When she finished she said in a matter-of fact way that we would run the following year together on the 15K trail. I laughed it off. I reflected on what it would mean to me to compete in such an “unattainable” event. Fifteen kilometers, OMG, no way! 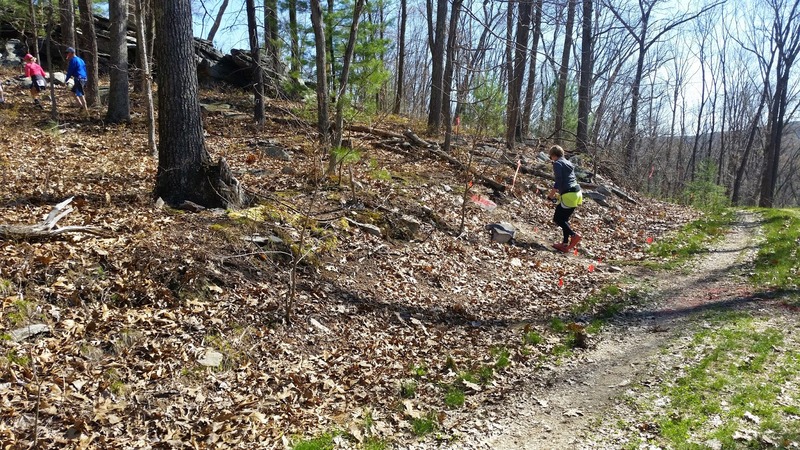 That is over nine miles of running relatively rough terrain. I have no running experience or for that matter any competitive experience. 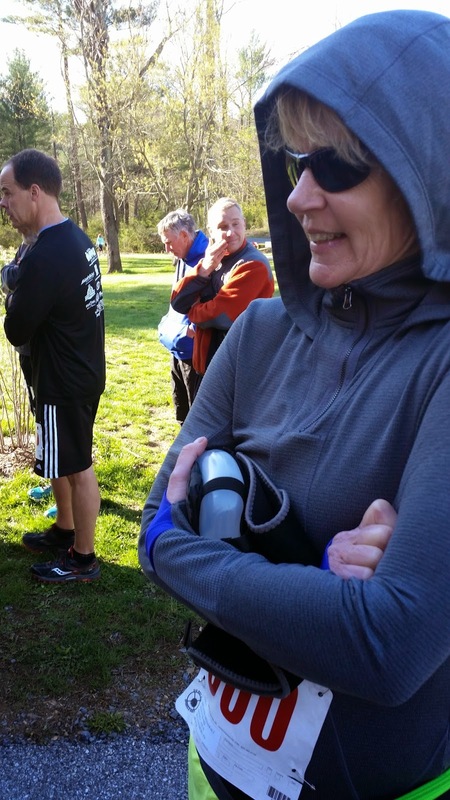 (Ok, a 5K one time in my 30’s…pffft!) And I have a knee that often does not cooperate with my lifestyle. This year I will turn 60. I have been thinking about what stellar (for me) thing I could do. It became apparent that I wanted to try the 15K for fun. What’s the worst thing that could happen? I could just walk it if I had to! 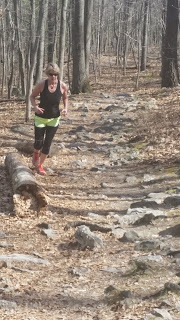 I signed us up in January for our April 26th Ironmaster's Challenge 15K trail run and began training right away. I did some research on line to get an idea of what I needed to do to begin training. I kept a wall calendar and wrote down my workouts every day. I had an opportunity to take an exercise class with a physiologist. He was adamant about keeping fit with a variety of floor exercises to keep us limber. The room was filled with older women, me being the youngest. He gave us many informative talks about the importance of diet and correct movement to be done every day. I always walked every day, but I knew I had to up my game! I started very slowly by jogging and walking alternately. Becoming winded was my biggest fear and obstacle. Not surprisingly, it did get easier the more I trained. Hills were and are a problem, but I would set a goal by looking ahead and telling myself I could make it to a certain tree or if on the street a mailbox or house. Then if I got there, I would push and say, “Well, there you go, if you got to that point then you can make it to the next tree!” Singing silly songs to myself kept my rhythm and took my mind off the next hill I had to face. Yoga and weight training were already regular habits for me. I kept my weights the same. I practiced yoga with Rodney Yee’s A.M. Yoga. I decided to purchase his hour-long Power Yoga. It is a total body workout. It was the hardest thing I had to do! And I am proud to say I kept up with that practice throughout my training since January. In the beginning of April we received horrible news of the death of my 33-year-old nephew. Pine Grove Furnace, where the race took place, is a special place for our family. My parents had a cabin there when my sister and I were just kids. Then when we had families, our children created more great memories. So now the race for me took on new meaning. I was not only running for my goal to finish, but for the surviving and the newly deceased who all loved the mountains so much. 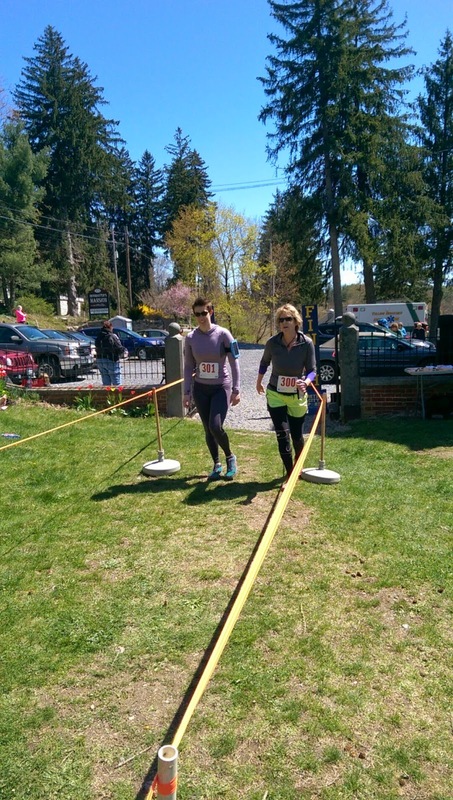 I trained with the goal to finish in under 3 ½ hours. All through my training I thought I would be running it alone, as my daughter would have been WAY up ahead! I thought it would be cool to run it together, but I certainly didn’t want to hold her back! As communication sometimes goes, I didn’t realize that she was going to run WITH me!! “Oh thank god, I won’t get lost,” I thought. She said this race wasn’t about her this time. Well, let me tell you, I don’t think I could have done it without her!! She is a true earth angel! I wanted to cry if I saw one more hill, but thought better of it as it would have been wasting precious energy! 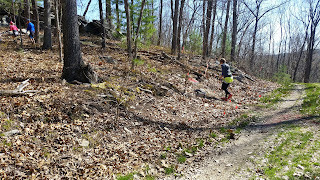 The last 2K I followed her feet as I didn’t want to look at another hill! And it was her telling me to push on. “Look at the beauty in the mountain” and “Remember why you are here, Mom” were words that I will not forget. I hope she knows just how much her being with me that day means to me. 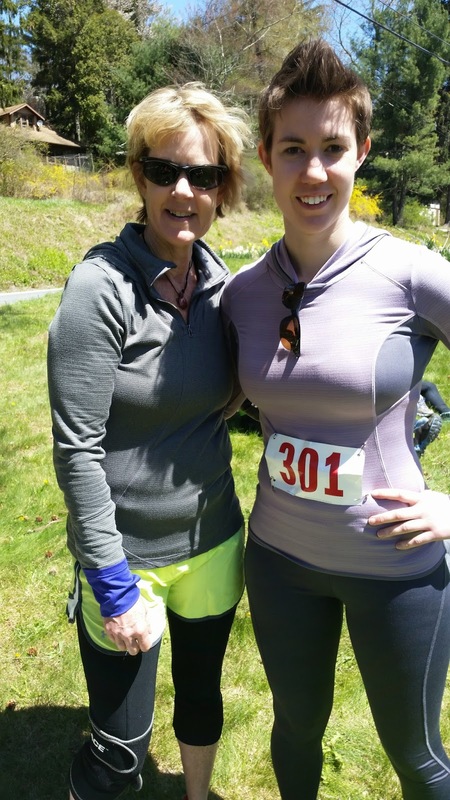 She helped me reach my goal, to finish! And finish I did, 45 minutes under my goal time. Questions for Laurie about her experience? Post them in the comments section below! Do you have a sports story you'd like to share? We'd love to hear it!